“Give the people what they want!” Simple as that! 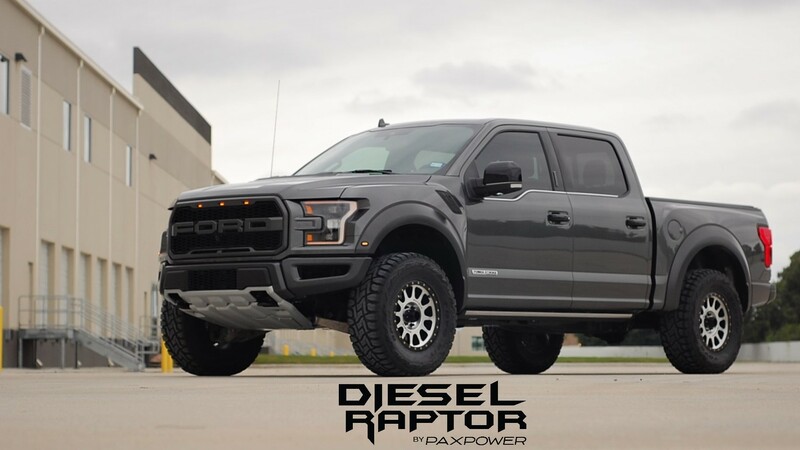 Like most of you, we loved everything about the Gen 2 2017+ Ford Raptor, except Ford’s choice to utilize the 3.5L twin-turbo six-cylinder engine. 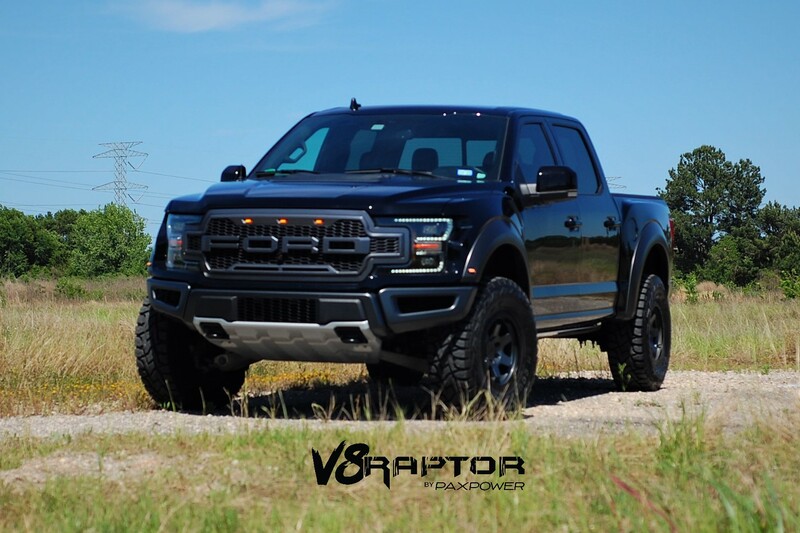 We think a truck with the attitude and capabilities of the Raptor should announce its presence with the sound of an American V8! 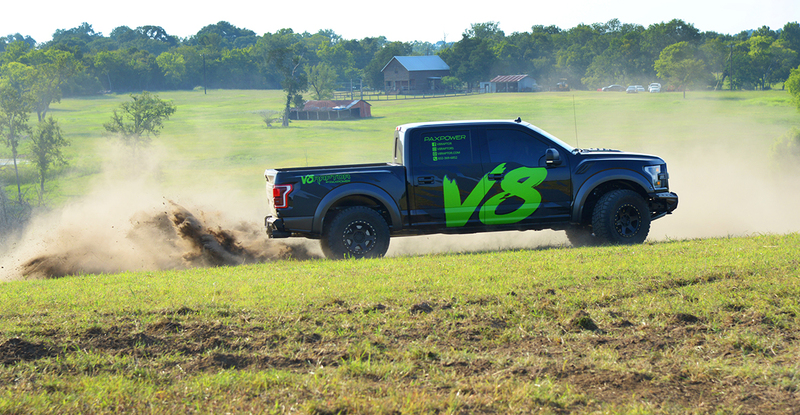 With the introduction of the 5.0L direct-injection engine and 10-speed transmission in the 2018 F150, the technology gap between the two trucks became much closer and we set out to build the first Gen 2 Raptor using a V8 truck! 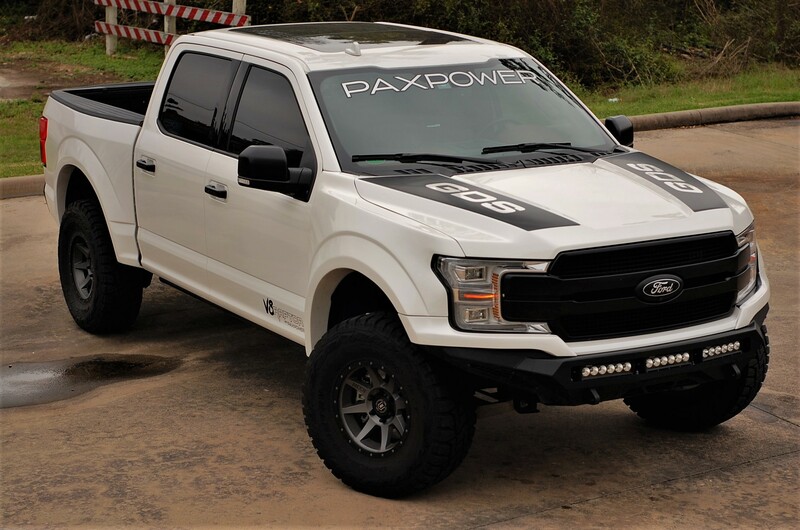 After months of research and development, PaxPower is proud to announce V8Raptor.com, your first and only source for OEM quality Raptor suspension, body and supercharger conversions for 2018-2019 and 2015-2017 Ford F150s! 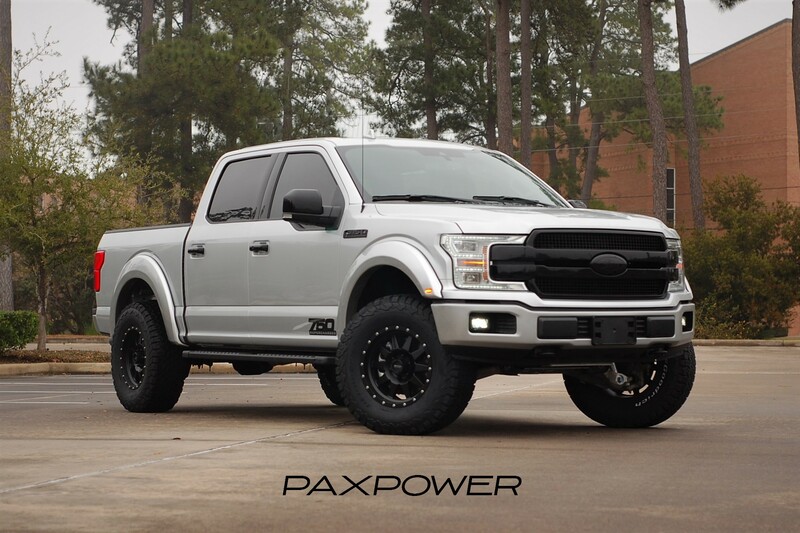 Upgrades the 2015-2019 F150 to Raptor-spec using OEM body, suspension, and chassis components. 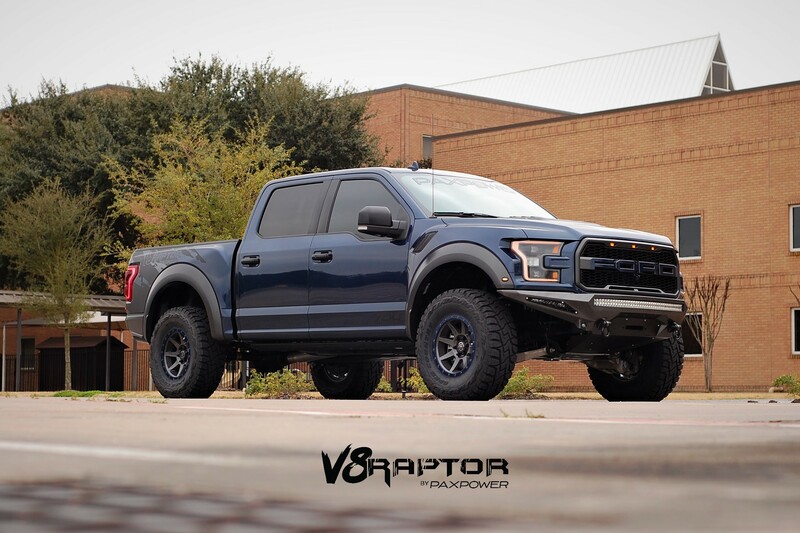 Extremely labor-intensive body conversion using OEM Raptor fenders, hood, bed sides, grille, fender flares, trim and all the parts needed to make it work! 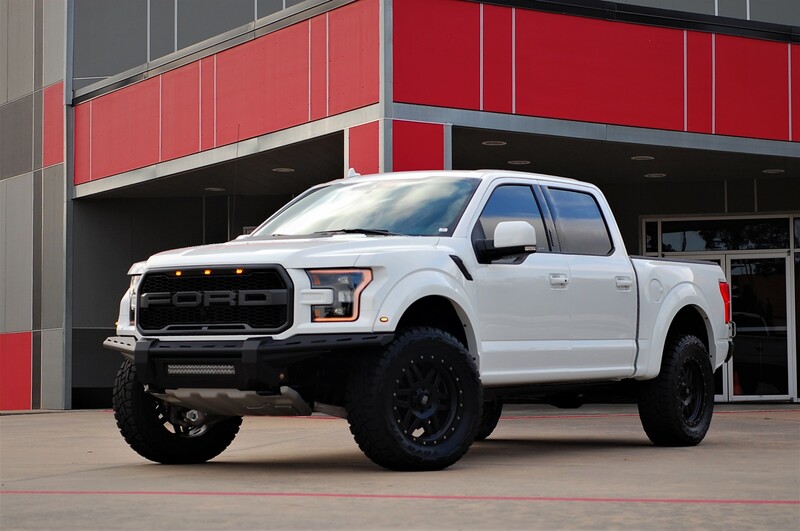 Painted to match your F150 body color. 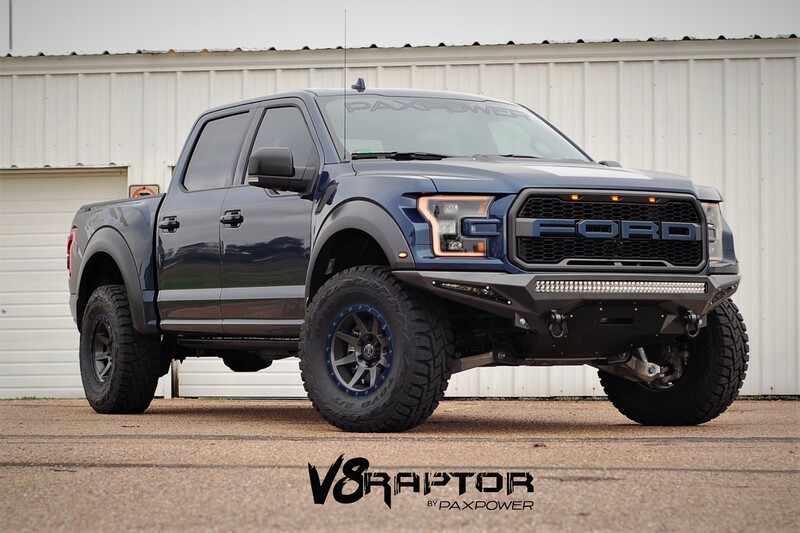 Features Fox SVT internal bypass shocks with Raptor upper and lower control arms, springs, CV axles, tie rods, brake lines, leaf spring pack, mounts, bump stops, and hardware. 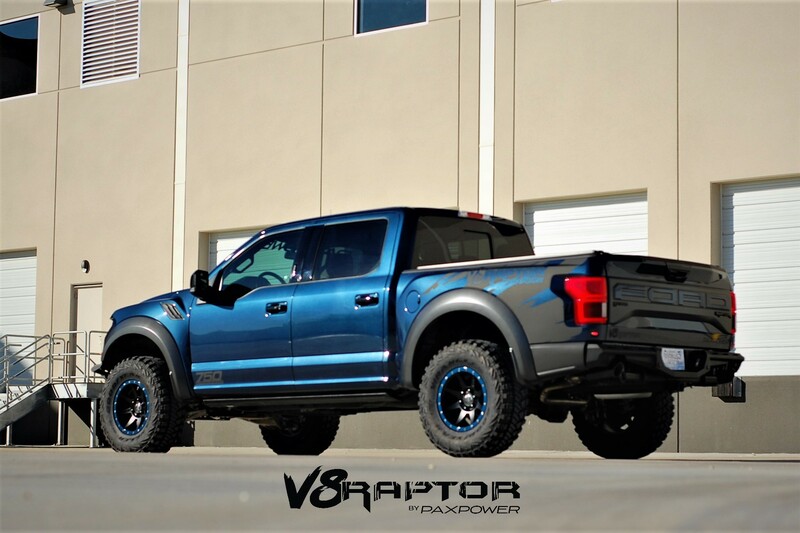 Includes OEM Raptor bumpers and skid plates. 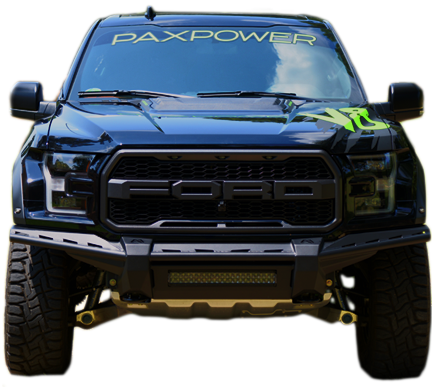 Aftermarket bumpers, such as the FabFours bumper on our demo truck, are available. OEM quality parts carrying Ford/Motorcraft 24-month/unlimited mile warranty. 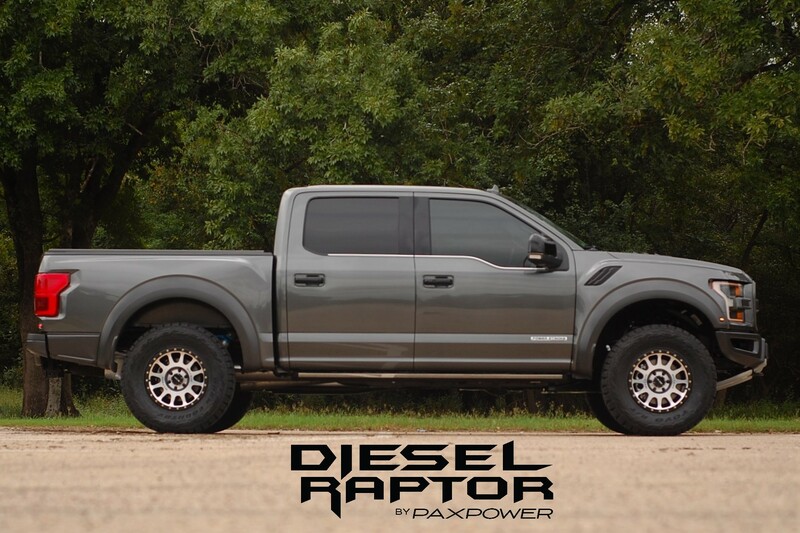 Options include wheels, tires, exhaust, aftermarket lighting, graphics, performance, and suspension upgrades. 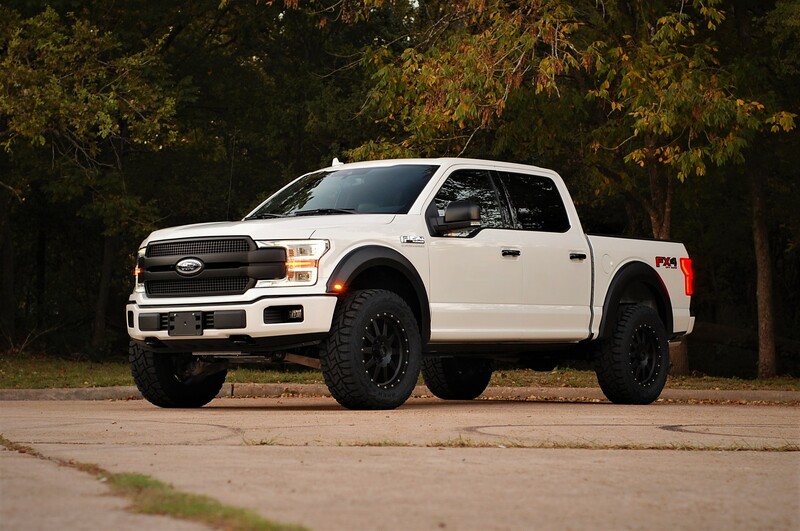 Gives the F150 up to 6” of added suspension lift and 4” of track width! 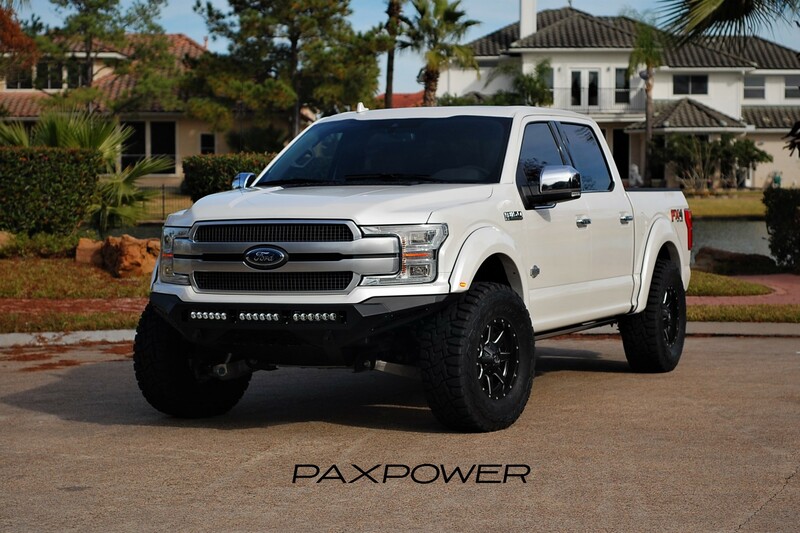 Front suspension can be set at 4-6” lift. Ford parts used in this conversion retail for over $6,500. 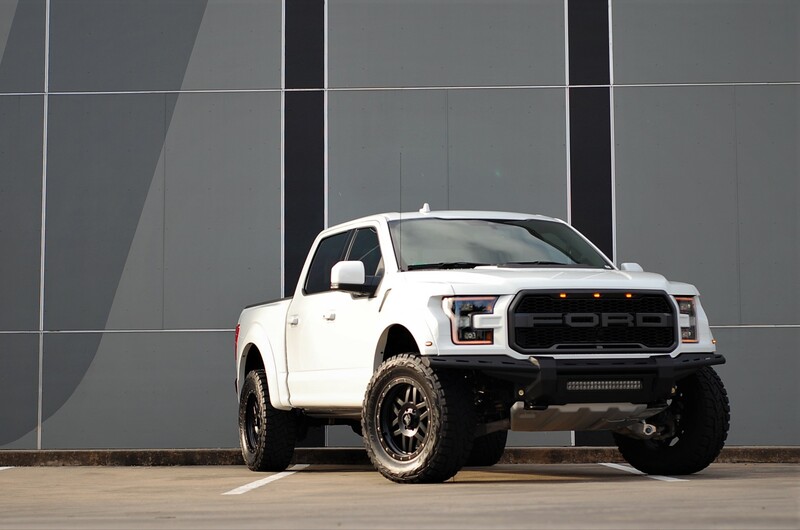 Supercharger package for the 2018-2019 and 2015-2017 5.0L F150s with 758hp! Front entry 2.9 liter Whipple twin-screw supercharger. Massive air-to-water aluminum bar-plate intercooler with 2-gallon tank. Oversized heat exchanger with electronic pump. Self-contained oversized oil system with extremely long maintenance intervals. Price includes professional installation, computer calibration, road testing, and all necessary chemicals and fluids. Optional Whipple Supercharger 3 year/36,000 mile warranty available. Click on any build photo for more information. 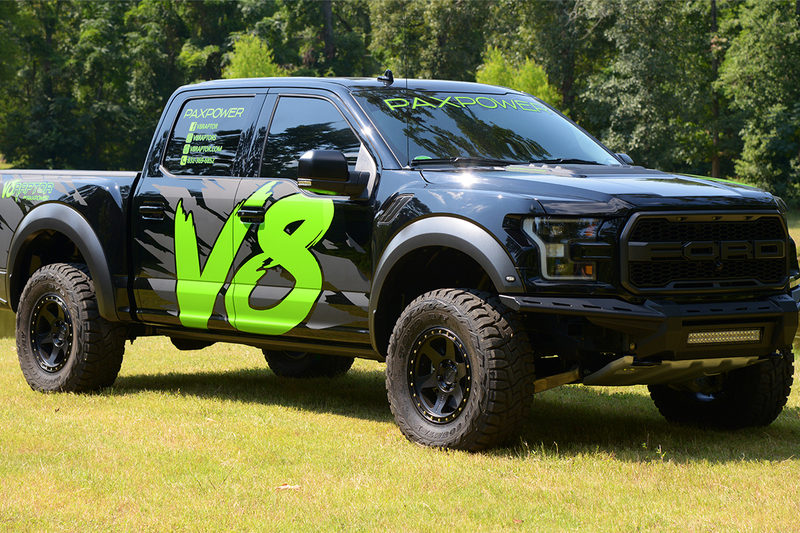 Watch AutoVlog’s review of our Supercharged V8 Raptor Conversion! 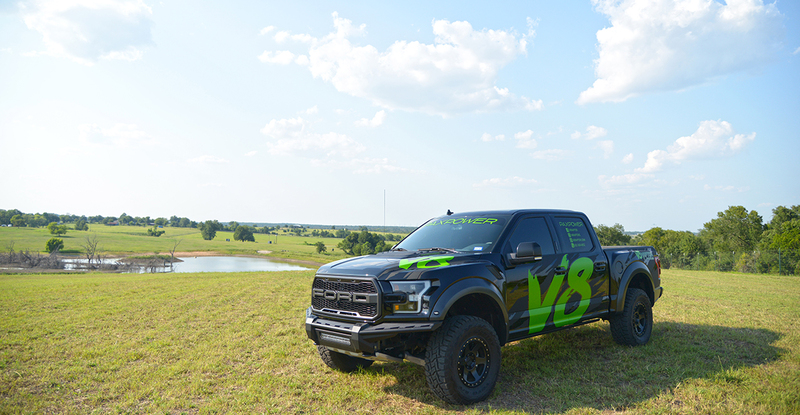 Watch TheFastLaneTruck.com review our V8Raptor and compare to stock 3.5L Raptor! 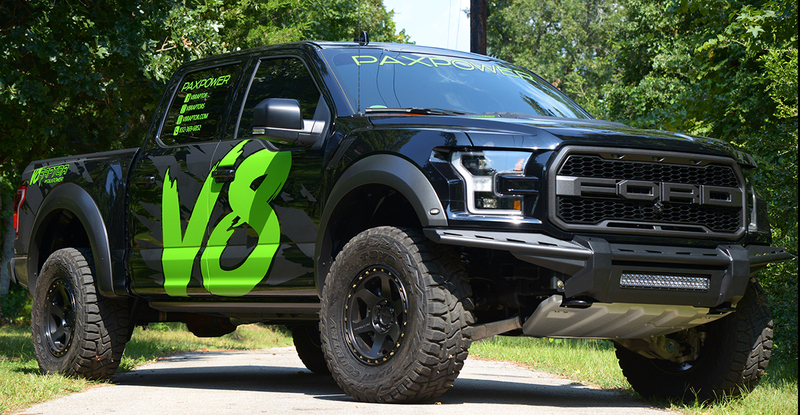 Take a closer look at the PaxPower V8Raptor! 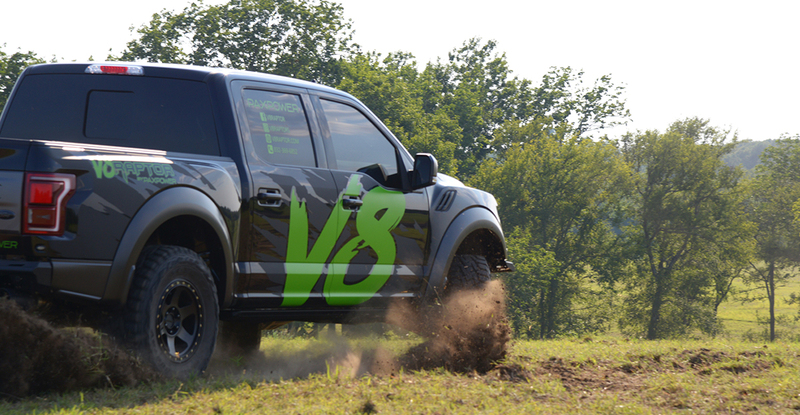 few true V8 Raptors in the world. 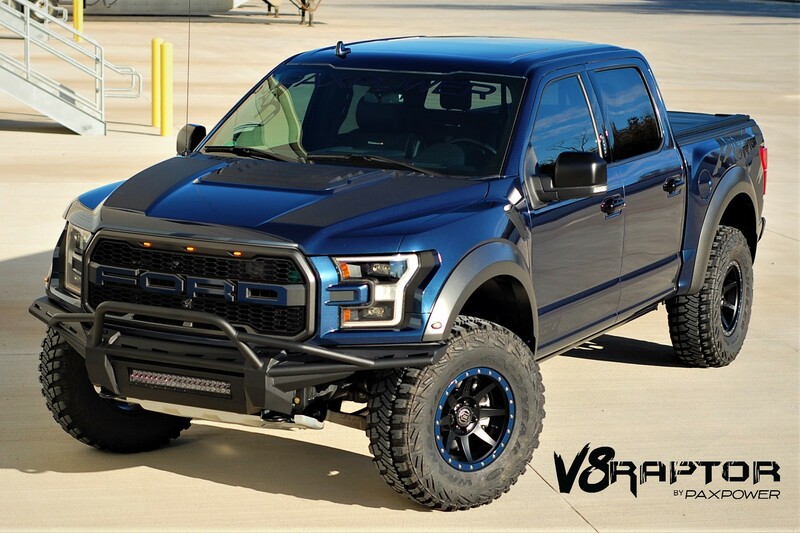 For this project, we created what it would look like if Ford would have updated the Raptor with the 2018+ F150. 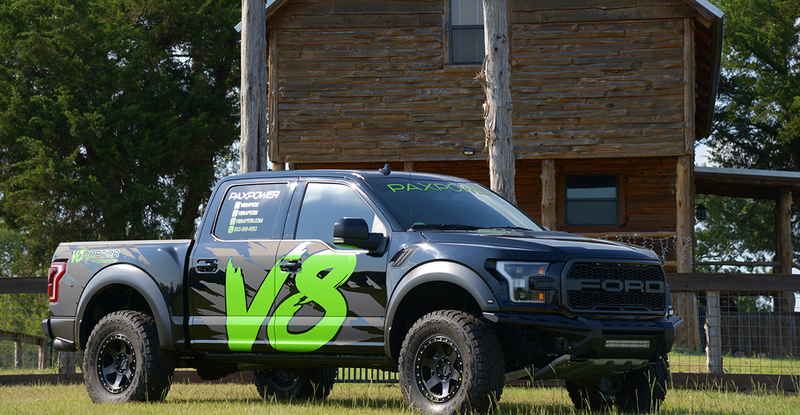 And of course it's a V8 Raptor build! 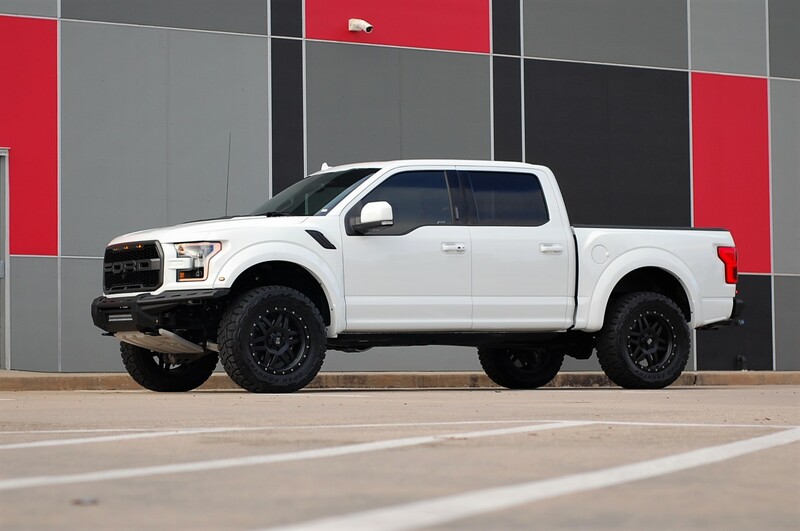 The conversion uses OEM Raptor fenders, hood and bumpers. 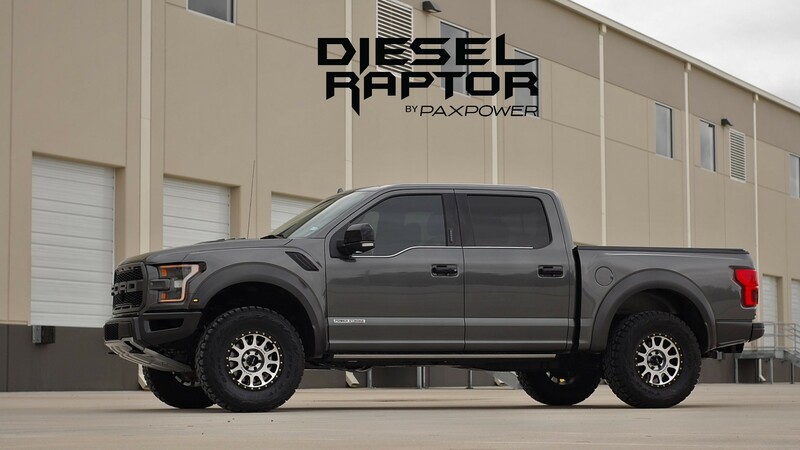 We then custom mold in the OEM 2018+ F150 fascia into the Raptor pieces. 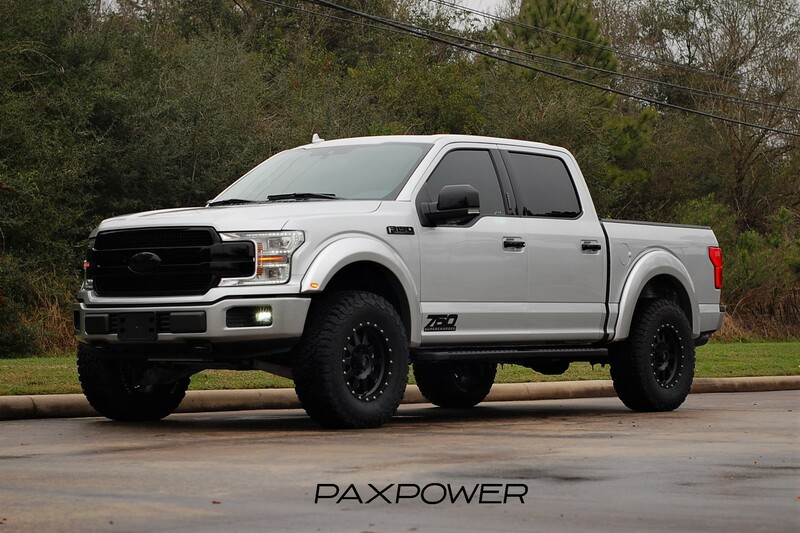 This conversion uses OEM 2018+ F150 lights and grille. This is an aftermarket grille, but OEM F150 grilles also fit.